Samsung’s new A series is so good that even the S10 lineup might lose some sleep. 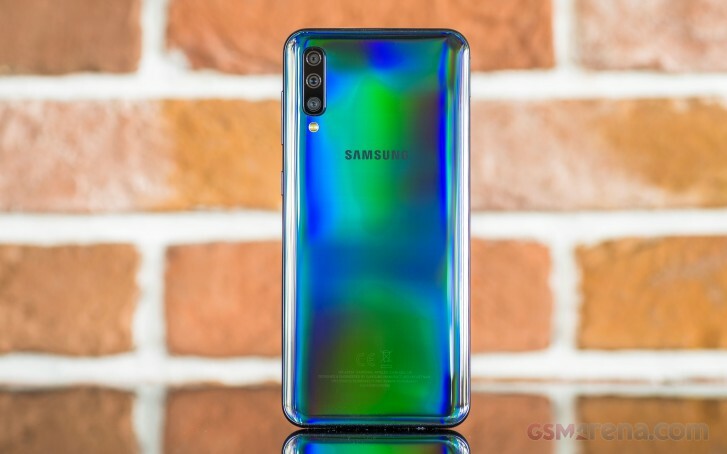 This week we checked-in with the Galaxy A40, which could easily divert some of the Galaxy S10e potential buyers and today we’re looking at the Galaxy A50 – a good cheaper alternative to the Galaxy S10+. Now before you jump to the flagship’s defense, check out these numbers. 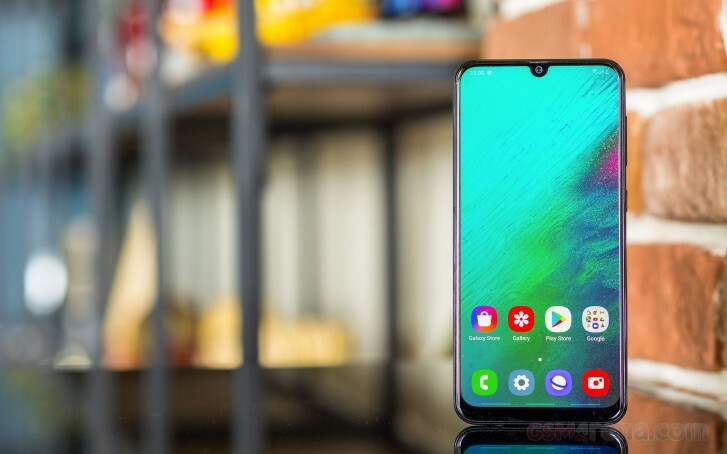 The Galaxy A50 has the same size 6.4-inch Super AMOLED screen of perfectly fine 1080p resolution, it too has an on-display fingerprint scanner and a triple camera with an ultra-wide unit, ample 64GB or 128GB of storage, a 10nm octa-core Exynos 9610 and a 4,000mAh battery – just 100mAh shy of the Galaxy S10+’s battery. Now factor in the €300 price tag, compared to the Galaxy S10+’s €999. 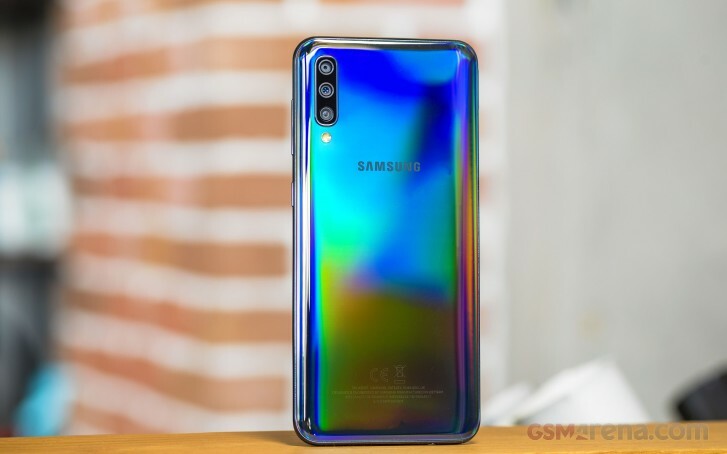 It’s clear that Samsung is betting a lot on its new midrange lineup – the Galaxy A50 has all the basics well and truly covered. Its 6.4-inch Super AMOLED screen is superb, its performance is zippy thanks to a combination of an Exynos 9610 with four Cortex-A73 cores running at up to 2.3GHz and One UI under Android 9 Pie and we have the confidence that its 4,000mAh battery will provide ample endurance. Samsung has also brought 15W fast wired charging to the Galaxy A50 but sadly there is no wireless top up. There’s no denying that the Galaxy A50 has flair too. We have the Black model, which like the Galaxy A40, shimmers and shines in different color hues depending on the light. We’ve emphasized it in our photos but in reality this effect is subtler and more elegant. As with the Galaxy A40, though, it’d be a shame to cover the Galaxy A50 with a case. The cameras are the final key selling point of the Galaxy A50. There are three on the rear but only two are actually useful – the 25MP f/1.7 main snapper and an 8MP f/2.2 ultra-wide angle shooter with a wider than your average 12mm field of view. On the front there’s a 25MP f/2.0 front camera. It’s early to give a verdict on the cameras – that’s what our review is for. We’ve already started working on it and you can expect it early next week so stay tuned!